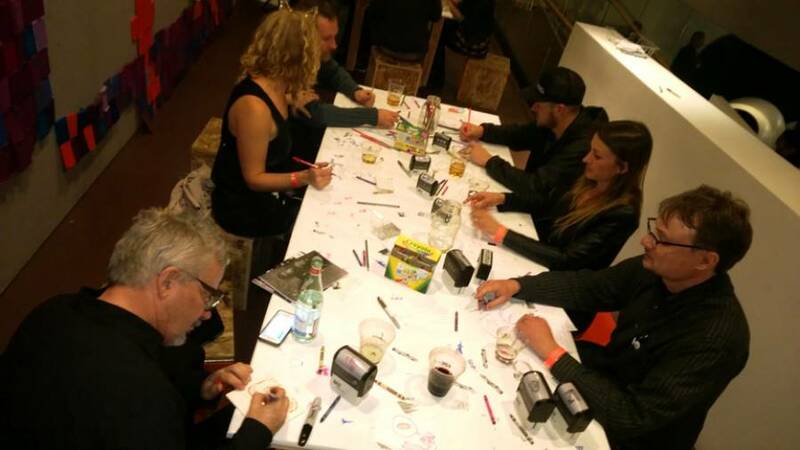 Mark Mothersbaugh creates a postcard in the “Make-A-Postcard” room at his Retrospective Art Exhibit titled “MYOPIA” in Denver, CO at MCA Denver. Opening night – Oct. 30th, 2014. Photo by Michael Pilmer (aka Devo-Obsesso).